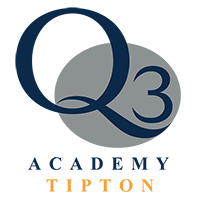 Q3 Academy offers all students a variety of online tools to supplement their learning journey. The entire collection of these tools are known as the “E-Learning Hub”. At the present time there are 8 key components, some of which students have been using since primary school. The majority of these tools are used to support learning and are not frequently used as homework exercises. Students are free to explore these tools within their own time and gain support from their teachers in the use of the various systems to extend their learning experience beyond the classroom. Active History provides entertaining, educational award-winning interactive simulations, decision-making games, self-marking quizzes, high-quality worksheets and detailed lesson plans for teachers and students. This system is used within Humanities. For any assistance in using Active History, please speak to your History teacher at the Academy. Linguascope provides students a range of creative tools to promote their own ‘hands-on’ learning of popular European languages, such as French, Spanish, German and Italian. A range of different tasks and activities can be undertaken by students, such as creating their own interactive games, comic strips, listening to radio stations and watching live TV in the target language. For any assistance or help with Linguascope, students should contact their Languages teacher at the Academy. MyMaths is an established mathematics support tool used at the Academy. MyMaths provides access to a wide range of ready-made lesson resources and online tasks to challenge students of varying abilities. For any support required with accessing or using MyMaths, please see any member of the Maths Department. MathsWatch is a set of mathematics resources (videos and worksheets) which students at the Academy can access to support their Key Stage 3 and Key Stage 4 learning. Key concepts are covered in helpful video tutorials and reinforced with the use of worksheets. For assistance with the use of MathsWatch, please see any member of the Maths Department. CK-12 is a collection of Maths and Science resources used to support a student’s understanding of key concepts within the subjects. There are vast resources in terms of online text books to support essential ideas within Maths and Science. Any person can apply for a free account to access these resources. You do not have to be an Academy student to take advance of this system. * N.B. This system is not managed or subscribed to by the Academy and therefore content may vary from the Academy curriculum model used at the present time. The Academy subscribes to Kerboodle learning for Science and Design Technology. Kerboodle contains various activities and resources to enhance and expand a student’s learning. For access to Kerboodle for Science or Design Technology, please see your subject teacher.